You're more than a genius man. 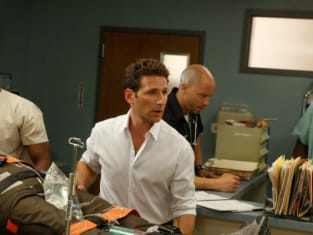 Royal Pains Season 2 Episode 1: "Spasticity"
I'm not going home, he's coming back guaranteed. Permalink: I'm not going home, he's coming back guaranteed. Should I grab a copy of US Weekly and have a seat in the waiting room?